The famous English broadcaster, Sir David Attenborough’s critically acclaimed documentary “Our Blue Planet” made it impossible for us to look at our blue oceans in the same way again. It is a grim subject but deserves attention and concern, also from the young children. For the uninitiated, imagine looking at pictures of a different kind - a turtle trapped in a fishing nest, carcass of an erstwhile-mighty albatross baring its plastic-littered stomach, a seagull munching on a crisps-bag or a baby seal choking on a plastic bag. Sadly, something as shocking and heart breaking is the new normal for the ocean life today. Apparently, the overzealous use of our favourite material has found a way to get into our oceans. One garbage truck of plastic is dumped into our oceans every minute*. By 2050, there could be more plastics in the ocean than fish (by weight)**! This reckless and appalling contamination of our precious resource is mainly understood to be caused by beverage litter (bottles, caps, lids), lost or disposed fishing nets, synthetic fibres, plastic bags, straws, cutlery etc. So when the opportunity arose to highlight the situation before young minds, I felt compelled to introduce the grim reality to the young schoolers. 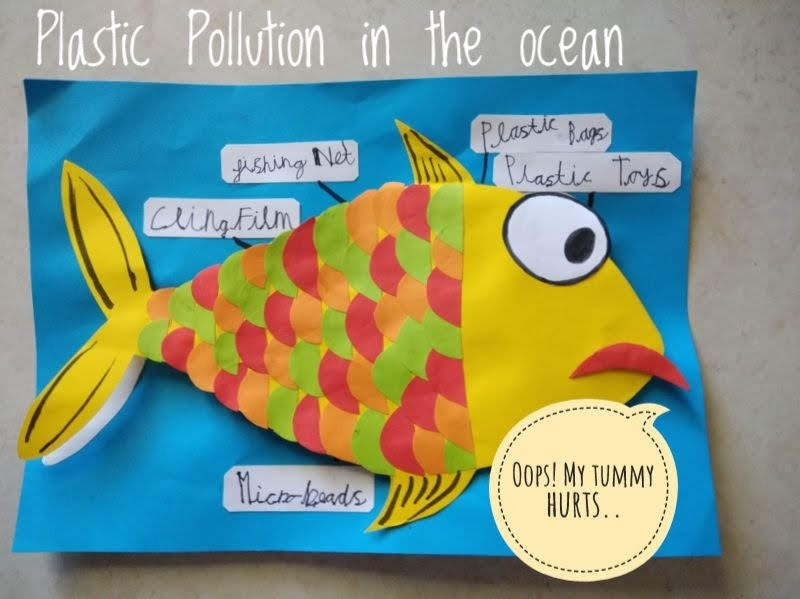 My son had his ‘Show & Tell’ on the topic ‘Under the Sea’ and we both decided to present something that would draw attention to the cause. It helped that we had discussed the topic before and he was naturally inclined. My son didn’t want to include any “sad” pictures that could upset the class, so we made a ‘Sad Fish, Happy Fish’ version of our own. That's how we went about it. 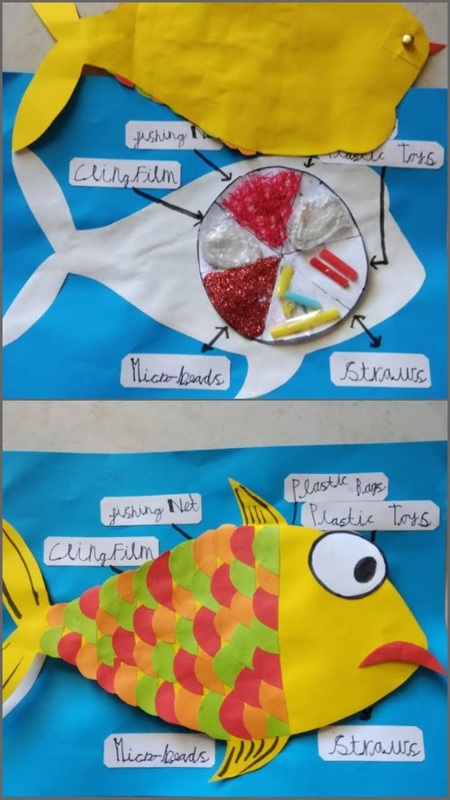 HOW TO MAKE FISH CRAFT TO EDUCATE KIDS ABOUT PLASTIC POLLUTION IN THE OCEAN? 1. 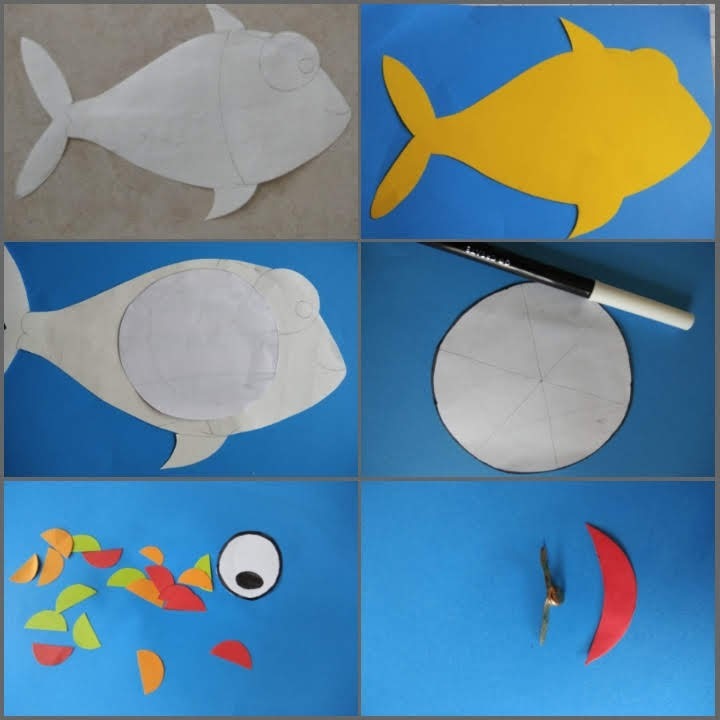 Draw and cut out two fish figures, one for the base (white below) and one for the top. Also, cut out a circle to fit inside the base fish’s tummy. 2. Now segment it and stick the bits of household plastics you may have. 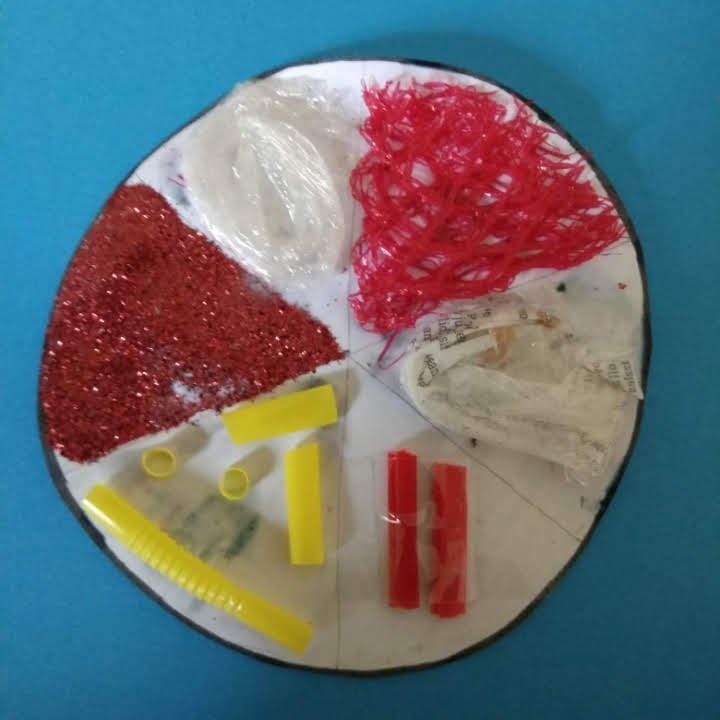 I chose straws, broken bits from toys, cling film, part of a single-use bag, carrier bag of oranges (to represent fishing nets) and sparkle (to represent microbeads). 3. Cut out an eye, a mouth and tiny pieces of scales to paste on the top fish. This was the activity my kid enjoyed the most. Clamp together the mouth with a paper fastener. Leave a gap at the back to enable some movement. It will be twisted to show a happy or sad fish. 4. 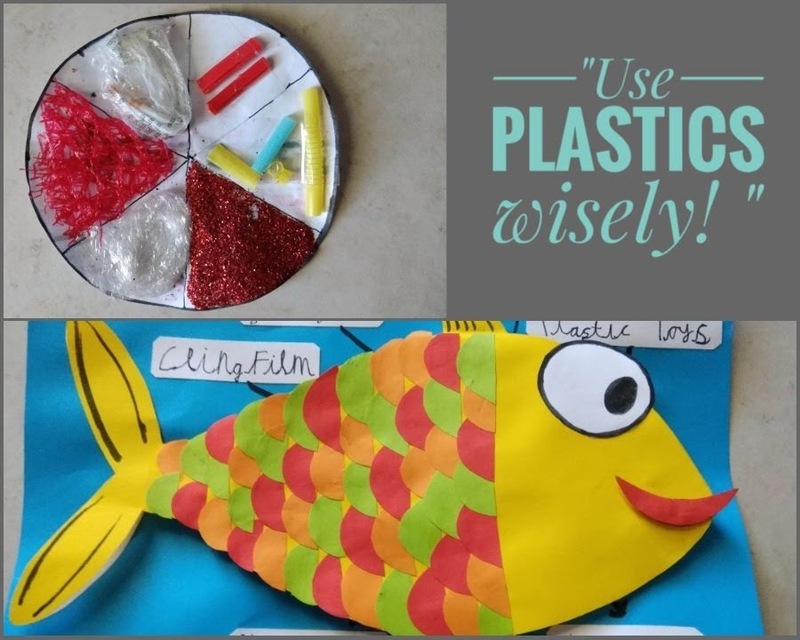 Label your plastic, glue on the coloured fish and you are ready to demonstrate. 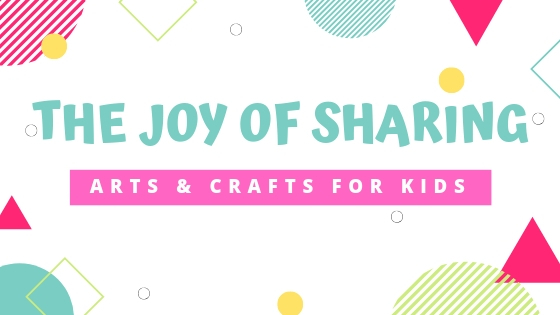 Don’t forget to chuck out the plastic from inside to make your little fish happy! This craft enabled me to discuss ways in which we can reduce and regulate our plastic usage every day. Please use the opportunity to discuss the importance of proper binning and recycling with your child. Their interest and curiosity will validate your efforts. It was interesting to see his concern and worry for the future of the marine life as he asked, “So how are we going to protect them?” Innate compassion, desire to nourish, and love for all forms of life are the qualities in children that serve as a beacon of hope for restoration of our oceans. We can all save it before they turn into a soup of plastic!